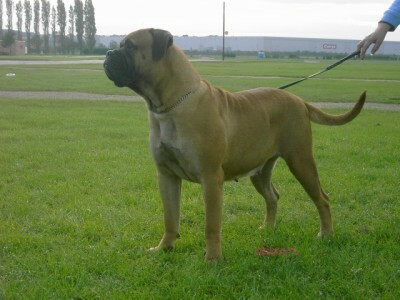 Big and imposing in appearance, Bullmastiffs are actually quite reserved in their temperament. Built like a linebacker, they carry a substantial amount of muscle all over, but especially in their chest, shoulders, and neck. 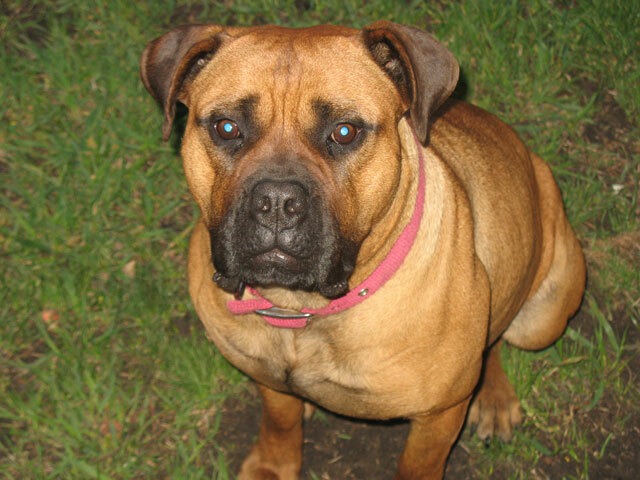 A Bullmastiff’s fur is short and can be red, brindle, or light tan. The chest might have a small splash of white on it. Their dark eyes hold a sympathetic expression, and their down-turned eyes and wrinkly faces can even look a little sad — until they break out into a big doggo grin and pant away happily, rolling out their wide pink tongue. Their forehead is flat, and their V-shaped ears fold over and rest on their blocky heads. 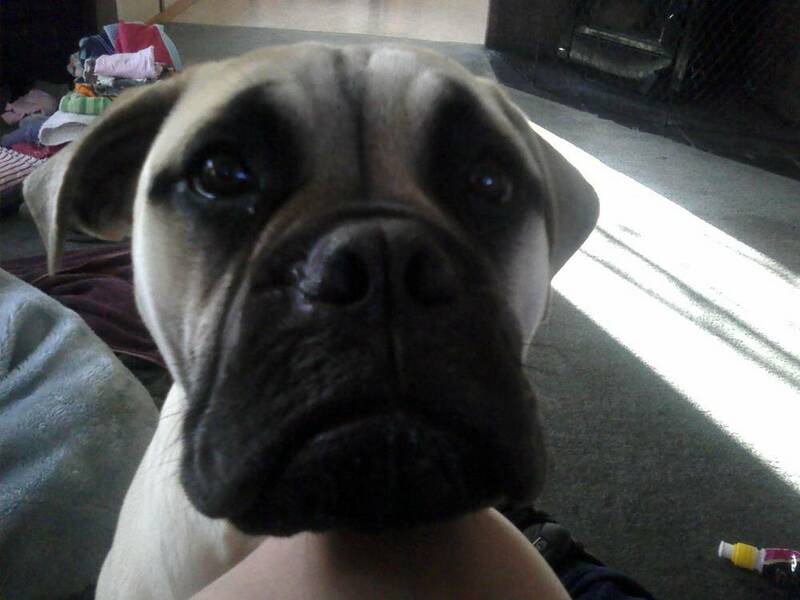 Bullmastiffs are very mature dogs with level-headed personalities. They are a sensible breed and a great fit for people who want a low-key addition to their family. 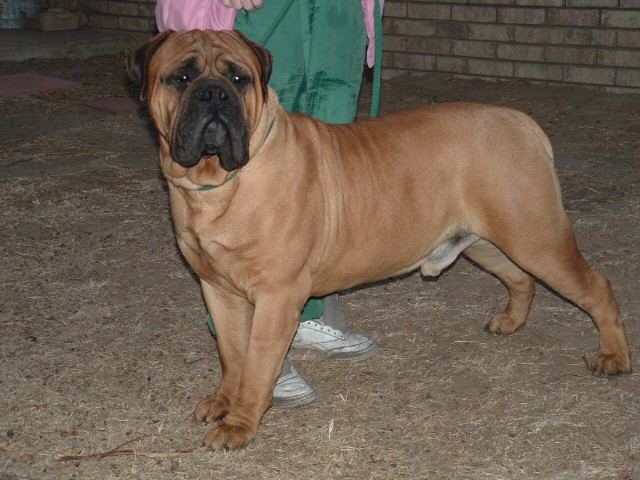 Common Misspellings Bull Mastiff, Bullmastif, or Bull Mastif. 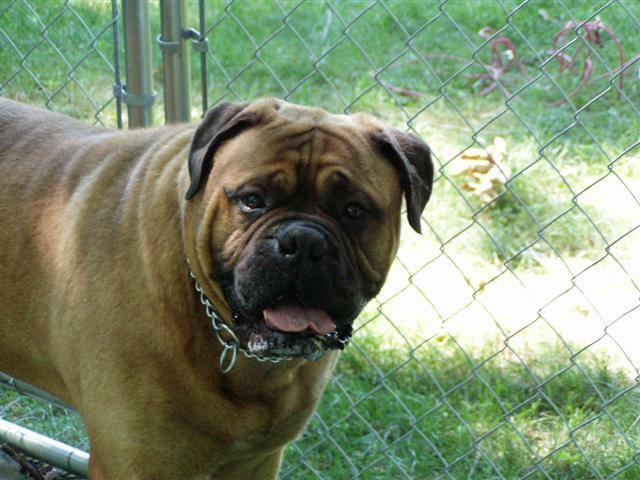 Bullmastiffs are a great choice for families who want a dedicated companion on the quieter side that doesnt need constant attention. 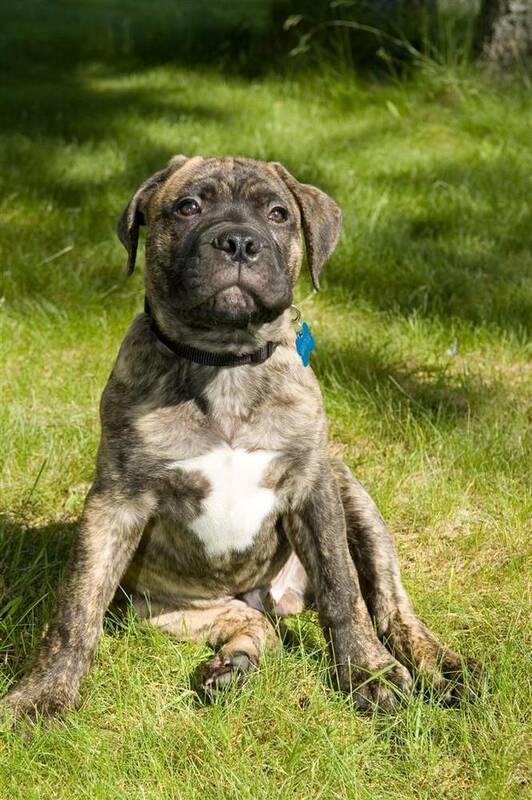 Bullmastiffs are very gentle with children, but they wont be winning any Babysitter of the Year awards anytime soon: the very qualities of sensibility and maturity that draw adults to the breed can be boring for kids. 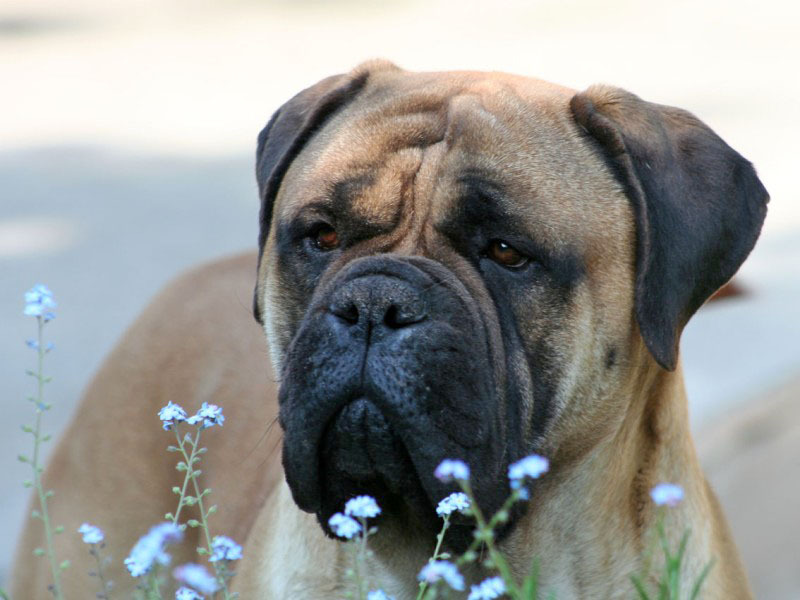 Bullmastiffs dont react strongly to strangers, preferring to sit back where they can keep a good eye on everyone and observe. They get along great with cats. 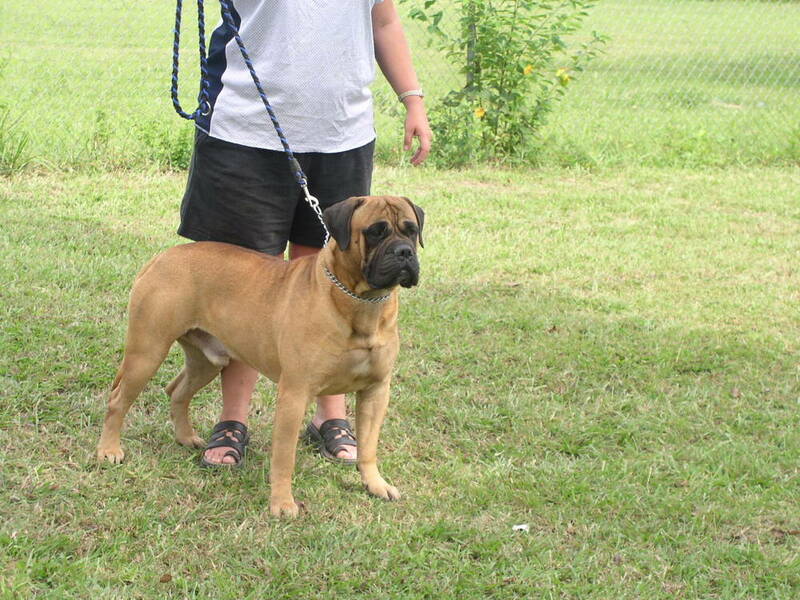 Occasionally, they have been known to show aggression toward other dogs, especially males. But for the most part, they are very accepting of other pets and strangers. The breed has a stubborn streak about a mile wide, so training them can be a bit of a trial. Thats important to know because this is a large breed, so if they dont want to move off that couch, youll have trouble convincing them without the aid of a forklift. 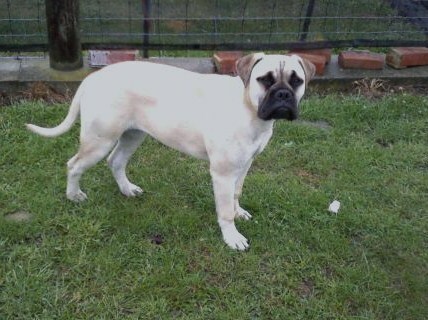 Their stubborn streak also means they arent a great choice for first-time dog trainers, but for experienced owners seeking a loyal companion who gets along well with others and doesnt ask for much, Bullmastiffs are great additions to the family. 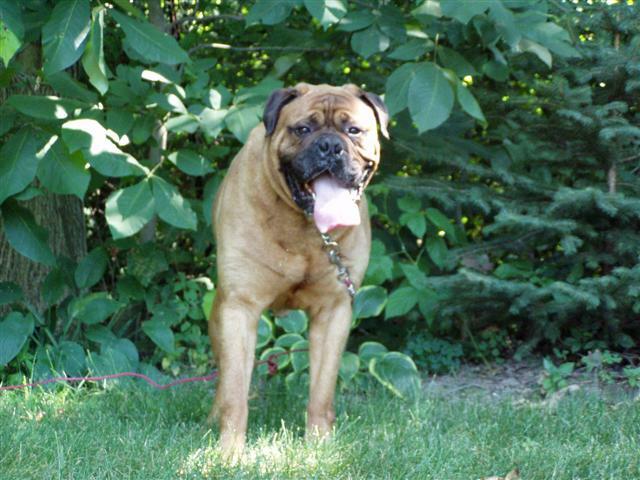 Bullmastiffs are layered in muscle, so its easy to confuse them with a dog that needs constant exercise. 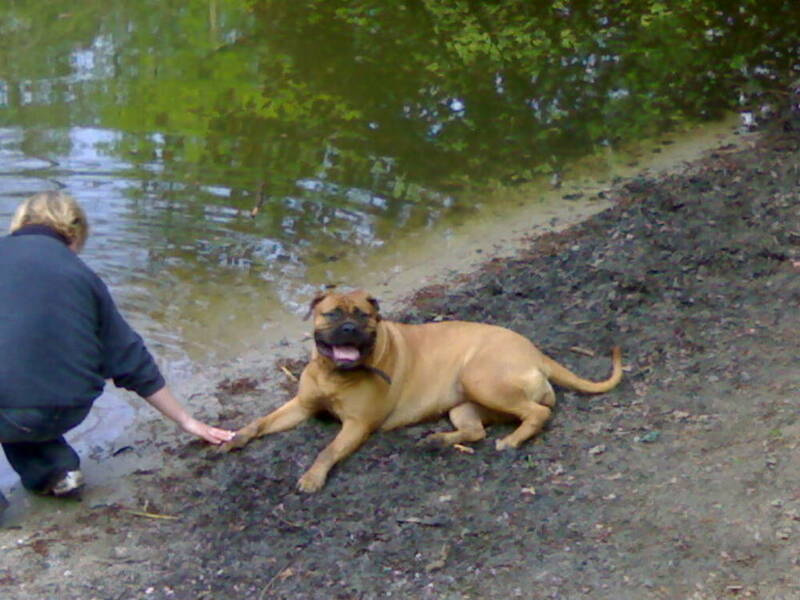 On the contrary, Bullmastiffs are very laid-back dogs. They are content with quietly watching the family, getting their ears scratched, and going for short walks. You might have to entice them to go out and get any exercise at all. 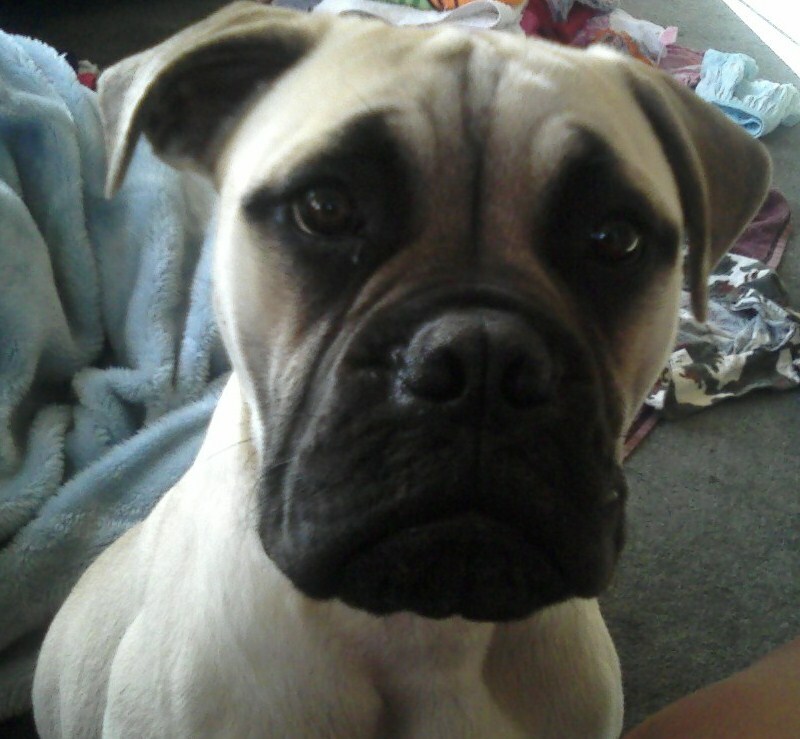 Additionally, socialize your Bullmastiff puppies often to head off any aggression issues. But dont let those imploring brown eyes convince you to stay inside on the couch all day. Just like people, short walks are important for their health and weight. These dogs love to eat, and if you arent careful, they will pack on weight very quickly. 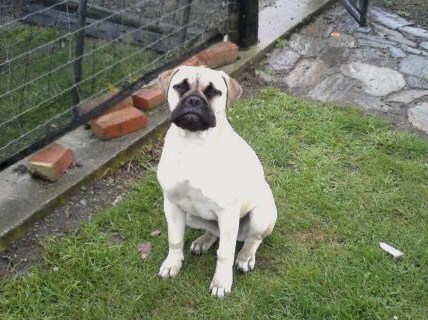 Make sure you buy dog food that is balanced specifically for large breeds. Big dogs put a lot of stress on their paws and can be prone to foot injuries, so youll need to keep their toenails cut short and inspect their paws regularly to make sure they arent getting scratched or hurt. Given the sheer size of these dogs, its pretty important to train them while young and get them used to having people touch the giant mitts they call paws. That way, when the time comes for a nail trim, theyll work with you instead of against you. Their coat is pretty easy to work with, and as long as they get the occasional brushing down and splish-splash in the bath, they are good to go. 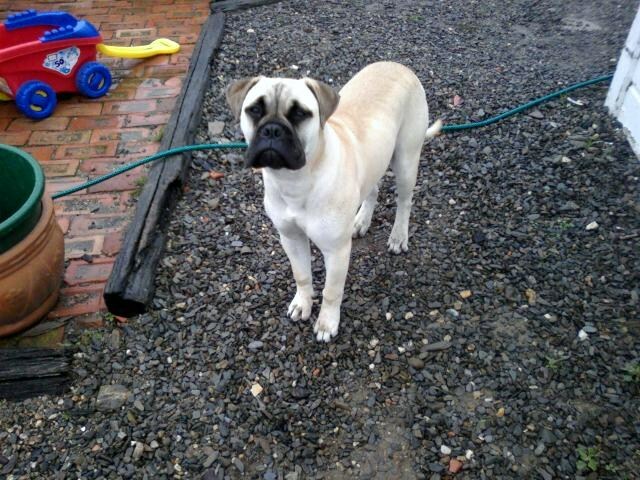 Bullmastiffs are a fairly young breed compared to a lot of other dogs. In the 19th century, British people who owned large amounts of land were having problems with poachers, and they were getting pretty tired of it. They wanted a guard dog that was big, fearless, and fast enough to chase a poacher. 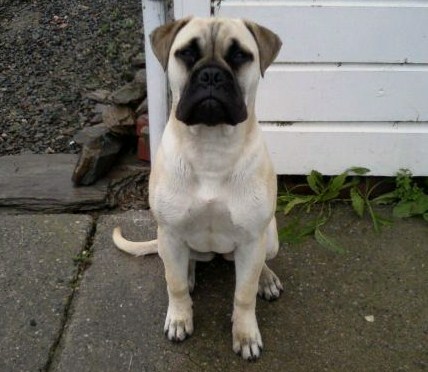 The Mastiff was fearless and had size down to an art form, but they werent terribly quick. The Bulldog was fast and also fearless, but too small to intimidate others. 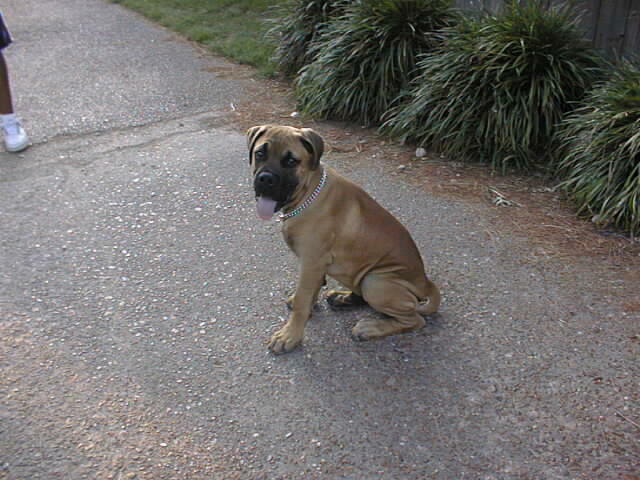 So, breeders doubled up on bravery, added some power and speed, and got the sizeable Bullmastiff, who quickly became the perfect guardian. 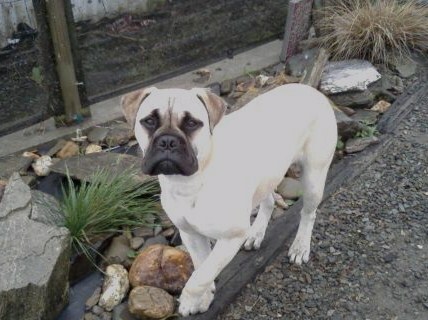 In fact, they did so well, lots of people in England at the time preferred Bullmastiffs over a Mastiff or a Bulldog because of their balanced qualities. 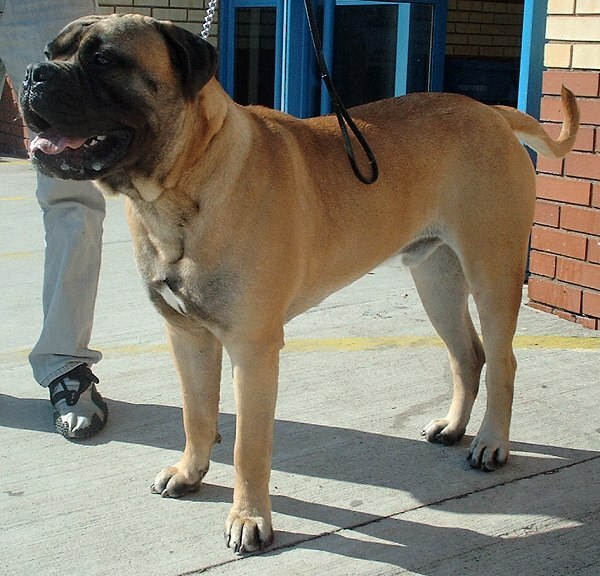 Eventually, the Bullmastiff breed made it to the United States. 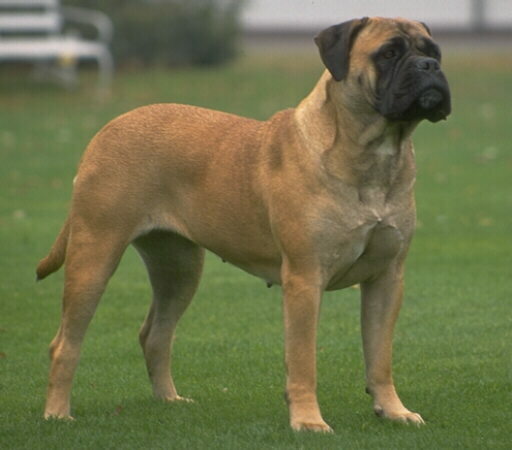 They were recognized by the AKC in 1933.